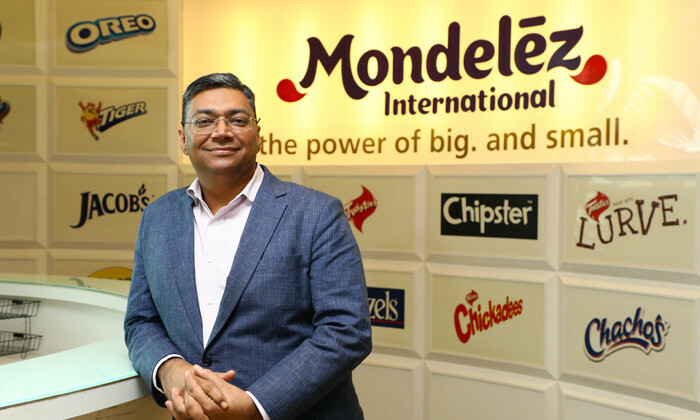 Swadheen Sharma, managing director, Mondelēz Malaysia, shares his views on HR as well as proves how the function has contributed to the organisation’s success, in an interview with Jerene Ang. Q I understand that you have been in Mondelēz for about five years now. What has been your most memorable moment with the organisation? It is difficult to single out a specific moment, but I would say working with the Malaysia country leadership team in the last few months has been a particularly fulfilling period. We have been able to change the business and organisational trajectory of Mondelēz Malaysia, and further driving the company towards the organisation’s vision. We have also developed a solid bench-strength of top-class talent, put in place rigorous succession planning and improved the quality of engagement with our employees significantly. The quote I get most often from first-time visitors to our office is what a happy, harmonious and joyful place the Mondelēz Malaysia HQ is. There can be no greater satisfaction for a leader to receive compliments from our visitors and partners and I am absolutely proud of this. Q 2016 is the best performing year since the transition from Kraft Foods five years ago, what’s your secret to motivating staff to achieve such successes? Our people strategy is critical to our success. They are the heartbeat of the organisation and that is why it is essential to make them feel included in every possible way. At Mondelēz Malaysia we grow our people through building their capabilities to ensure that everyone has the skills they need to thrive even in the most challenging environment. We also give them good clarity on their careers so that they are aware of their potential in contributing to the business success in Malaysia. While our people continue to be recognised for their contributions through various awards and recognition programmes, it is equally important that we also celebrate everyday joys. This means creating an aspirational place to work for our colleagues through a culture where our people feel they are being cared for and feel connected. This gives them a strong sense of belonging when they join us. In the long term, we can’t be a great place to work if our business isn’t winning; and we can’t win consistently if we’re not a company that attracts and unleashes great people. Q Having been in the FMCG industry for 22 years, in your opinion as a business leader, what is one persistent people challenge the industry faces? I believe the greatest challenge the industry faces is a dearth of leadership talent. Organisations that can do a good job of identifying, grooming, retaining and promoting strong leaders have a differential level of results over a sustained period of time versus those that cannot do so. Doing this is difficult because it requires an extraordinary degree of commitment and consistency over multiple changes of leadership within the organisation. Every leader needs to consistently demonstrate the same degree of commitment to developing the next level of leaders. If the chain is broken even once, it can undo many years of hard work since it does not take long for such talent to be snapped up by the market. Then, you are back to square one, trying to rebuild your bench strength. Q What is your view of human resources as a function? And how do you think the HR function can contribute better to organisational goals? One of my biggest passions is developing people and helping them build long, meaningful careers for themselves. I see HR as a critical partner to the business and the right hand person to the CEO, driving growth by building outstanding leaders from within the company while being grounded in its values and culture. HR is at the forefront to help the company by making sure we have the capacity, capability and culture to deliver sustainable, profitable growth. At Mondelēz we go by the 70-20-10 learning principle where we encourage our colleagues to take ownership of their development. We support managers to play a critical role in providing their team members with on-the-job opportunities, coaching and help achieve their progression goals. We also have learning and development programmes which include standardised and simplified leadership curriculum which is aligned to global learning and development initiatives. The programmes focus on building inspirational leaders, people management, transition coaching for newly appointed leaders, and professional skill development. Additionally, we have the Mondelēz International University (MIU) a virtual university with over 720 courses in English, and 12 other languages to help equip our colleagues with the skills they need to succeed. Under one (virtual) roof, MIU brings together three areas: enterprise capabilities, inspirational leadership, functional expertise. These are just some of the many initiatives driven by HR to complement our culture that is supportive, connected and makes Mondelēz a place where people can and want to create long and meaningful careers. Q I understand that the company is also taking an active role in pushing for gender equality by deepening its support towards female employees across all levels. Is this agenda driven by HR or by the business? And Why? We take this agenda very seriously. We want gender diversity to be ingrained in the company culture, so that in whatever we do, the act of embracing diversity and being inclusive, should be automatic and intuitive. We take an active role in supporting female employees across all levels. Every year, we organise an extended month-long programme centred on growth, development, recognition and wellness, in conjunction with the International Women’s Day. We also practice flexible work arrangement to enable our employees to maintain a balance between work and family priorities. Most importantly, we provide the necessary resources needed to help our people stay at their best and be agile enough to adapt in this fast-moving industry. As of today, our leadership team in Mondelēz Malaysia is made up of more than 40% women. I am also personally proud that the CEO of Mondelēz International, Irene Rosenfeld is a remarkable woman who continues to be an inspiration to both men and women in the company. Q Part of Mondelēz Malaysia’s long-term growth strategy revolves around recruiting, retaining and empowering top talent. How closely do you work with your HR head on such issues? My goal is to make Malaysia’s business a role model within Mondelēz International and become a hub for talent. I work hand-in-hand with our HR head to ensure we have a clear strategy to build long-term growth for our people. The role of an HR head is not just limited to recruiting and retaining talent. In our organisation, the head of HR is part of our leadership team. Internally, the team is called MYLT, and HR is involved in decision-making for matters that influence the way the company moves forward and charts the future of our business growth.